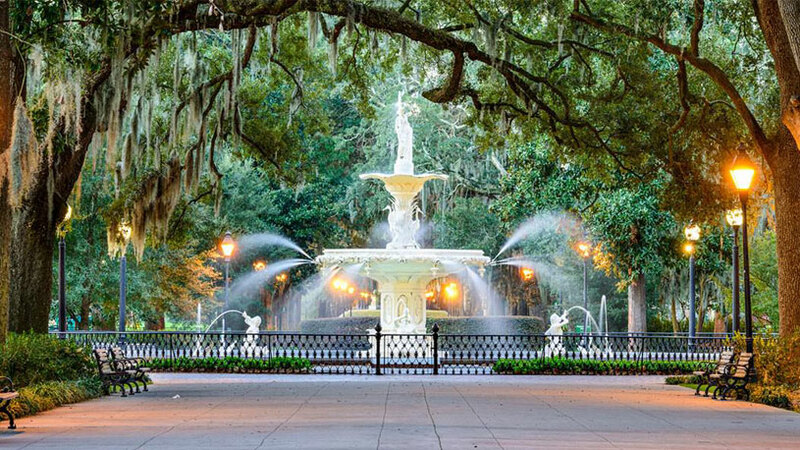 Stay at our hotel near Forsyth Park in Savannah, GA to visit one of the state’s most beautiful spots from your hotel room with ease. 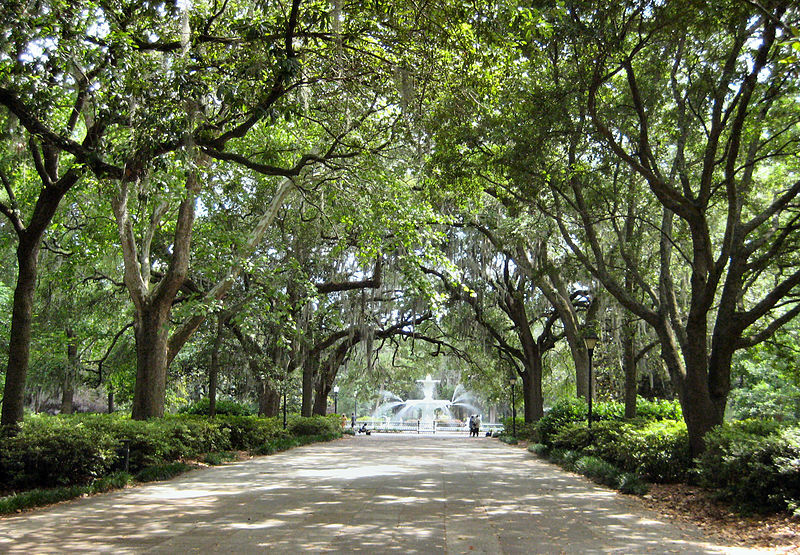 Forsyth Park is a prime example of Savannah’s unique landscape, with enormous live oaks, draped with Spanish moss arching over paved pathways. 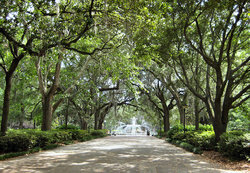 The largest park in the Historic District, Forsyth dates back to 1840 with a 10-acre donation by William Hodgson. In 1851 another 10 acres were donated by the Governor of Georgia, bringing it to its current size—and resulting in the parks name. The park’s most famous feature is the large fountain in its north end. Interestingly, the famous fountain was actually ordered from a catalog: Model No. 5 in Janes, Beebe & Co’s Illustrated Catalogue of Ornamental Iron Work! 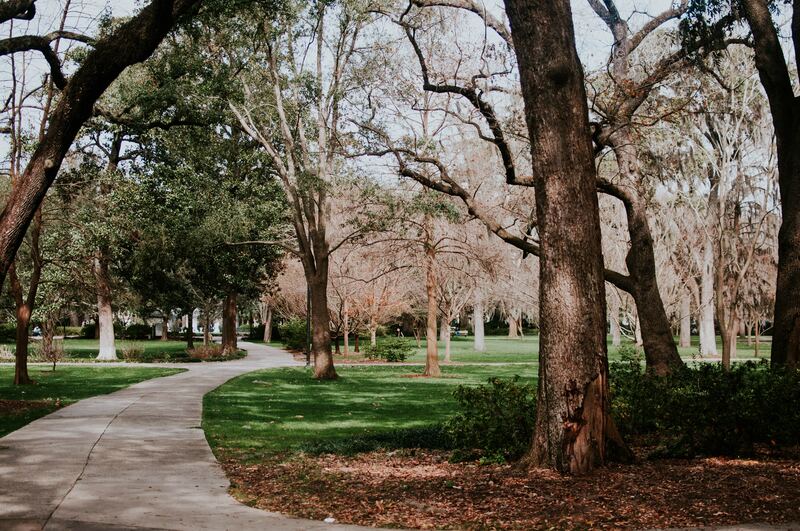 Our hotel near Forsyth Park in Savannah, Georgia offers you the supreme convenience of stress-free transportation. To visit the park, simply hop on our downtown shuttle, which leaves hourly. From the downtown drop off, you can easily stroll to the park. And once you’re there, be sure to check out some of the park’s special features. Stroll along the park’s paved pathways to the fountain, and then visit the park’s fragrant garden for the blind, or grab a meal at the park’s café. If you’re visiting with little ones, the park also has two different playgrounds, including a brand-new one donated by the Savannah Rotary Club. 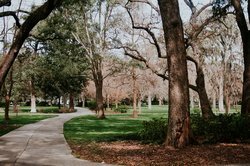 Stay at our hotel near Forsyth Park in Savannah, Georgia to take advantage of complimentary transportation there and back!